Like the island itself, Cuban cuisine is an eclectic blend of other cultures that developed its own profile over generations of a rich and vibrant history. In the flavor profile of Cuban food you’ll find Native American (Sewanee), Spanish, African, and Caribbean cuisine all playing prominent roles. Because Cuba was part of the Atlantic slave trade route, slavery is an integral, albeit tragic part of the Cuban story. At one point as many as a third of the population in Cuba were slaves. The most famous, easily recognizable Cuban food in America is probably the Cuban sandwich, sometimes called a mixto. Packed with ham, pork, swiss cheese, pickles, mustard and served on Cuban bread, this infamous sandwich was popularized by Cuban communities throughout Florida. It is not, however, something you’ll find on a traditional dinner table in Cuba. Cubans are known for their affection for fried foods, and you’ll find many popular desserts, such as churros and flan, take their cues from Spanish or Latin American sweets. As an island, seafood, especially shellfish, are commonly eaten in Cuba, and every meal comes accompanied with a side of rice, beans, and plantains. Tropical fruits and roots that grow in the Caribbean are also featured prominently in Cuban dishes, including guava and yucca. Michelle Ashby, who hails from Miami, knows a thing or two about traditional Cuban food. That’s because her mother’s family immigrated to America in 1959 after Castro came into power. 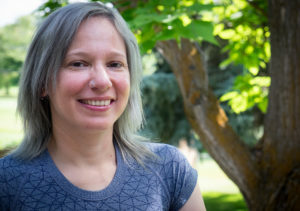 Her grandfather, who is the nephew of famous Cuban activist José Martí, was a small business owner who fought alongside Castro to overthrow dictator Fulgencio Batista. Not long after the revolution, he became disillusioned with Castro’s strong-arm tactics. Michelle says her grandmother described an incident that was the tipping point when a neighbor had lent someone soap out of their rationed items. The next day soldiers came and woke them up at 5 am, throwing them out into the street. They were told they were not allowed to share and demanded the person who had given the soap confess and be punished. Someone confessed and was carted off to jail, but Michelle’s grandfather knew it was time to get out of Cuba before it was too late. Still, even with the financial means to escape, it was difficult to leave the country at that time. At the airport, Michelle’s grandfather was detained and thrown into jail for 18 months while the rest of the family immigrated without him. Michelle’s mother lived in a one bedroom apartment in Miami crowded with her extended family, and many of them became US citizens in the 80s when Reagan passed immigration reform. Her family retained the language, a specific version of Spanish akin to creole that’s spoken in Cuba and Michelle says she didn’t actually speak English until she went to school. While Michelle’s mom was often working, it was her grandmother that cooked the Cuban classics in their little apartment and it became part of the flavor of her childhood in Miami. And while she never quite got into cooking as a young girl, Michelle has found herself recreating Cuban classics in her kitchen as she’s gotten older and grown eager to share her heritage with her own family. When you think of Cuban food, you probably conjure up visions of spicy sauces and fried fare but some traditional dishes, like ropa vieja, are quite simple. This shredded beef stew uses a medley of onions, pepper, and plenty of garlic to create a stringy beef with sauce that looks much like its namesake. 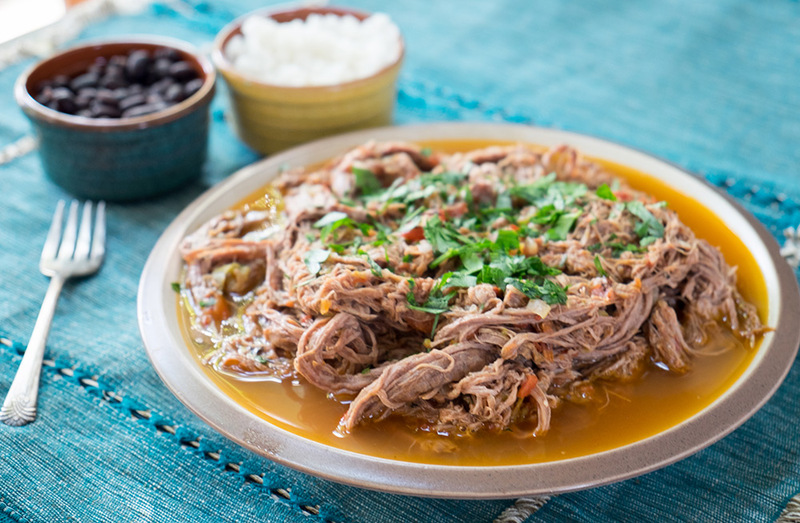 Ropa vieja may translate into “old clothes,” but accompanied with rice and beans, it’ll give you a new appreciation for Cuban cuisine. Usually, this recipe would need to stew for hours, but with the help of an Insta-pot, you can take a big bite out of your cooking time. Start by browning the beef, then adding aromatics like onions and garlic. 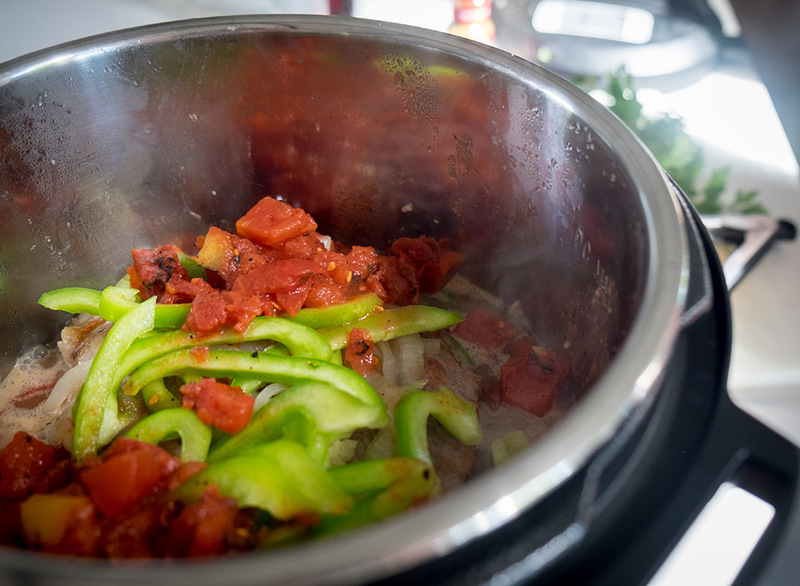 Chase it with some broth, add the remaining ingredients like spices, tomatoes, and peppers, and secure the lid. With the pressure cooker method, it only takes about an hour to get to delicious. 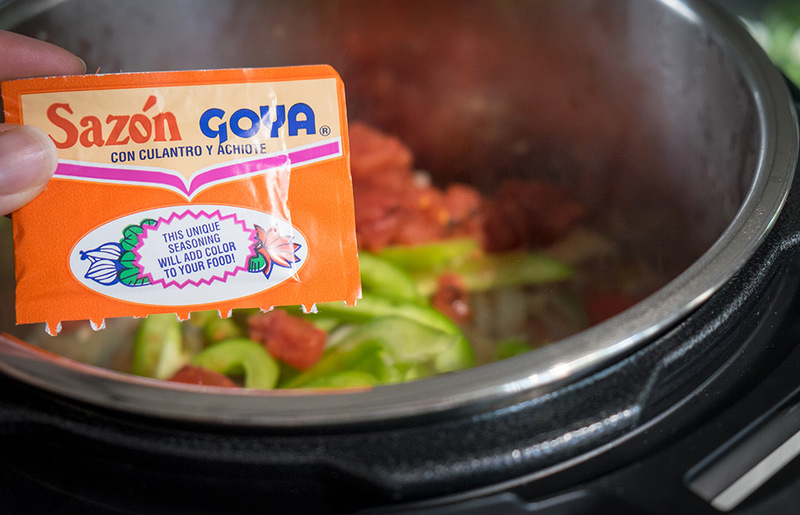 Most of the ingredients for this recipe can be found at any grocery store, although you may have to go to a Hispanic market to find the Goya Sazon spice mix, which is a mixture of coriander, cumin, turmeric, garlic powder, salt, oregano, and black pepper. Cuban accompaniments often include not just beans and rice, but also green olives. And if you’re fortunate, you can grab some maduros. These fried sweet plantains are the quintessential way to finish off the perfect Cuban plate. Ready to move from authentic cuisine to real conversations? 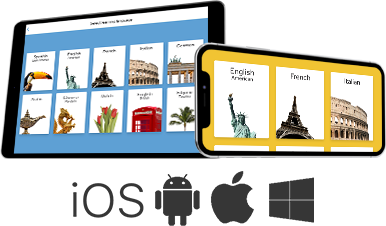 Learn to speak the language with the Rosetta Stone mobile app. This shredded beef stew uses a medley of onions, pepper, and plenty of garlic to create a stringy beef with sauce that looks much like its namesake. 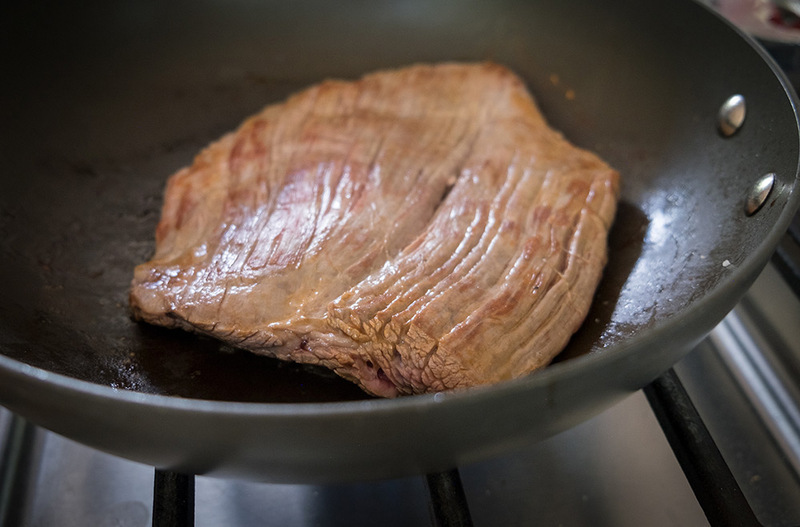 Season the flank steak with salt and pepper. Add the olive oil to the Insta-pot to cook over medium heat (usually the sauté setting). When the oil begins sizzling, add the meat to the pot cooker and brown it well, turning to get both sides. Return it to a plate to cool. Add the onions and garlic to the pot and continue to cook over medium heat, stirring until the onions are soft. Add the broth, canned tomatoes, peppers, oregano, cumin, bay leaf, and Sazon seasoning. Stir to combine then put the browned flank steak back into the stew. Cover the Insta-pot with the lid and put the valve in sealing position. Cook under high pressure for 40 minutes. Remember to allow at least 10 minutes afterwards for the pressure to release. Once depressurized, open the lid and shred the meat by pulling it apart with two forks. You want to create long strings of beef that look almost like spaghetti. 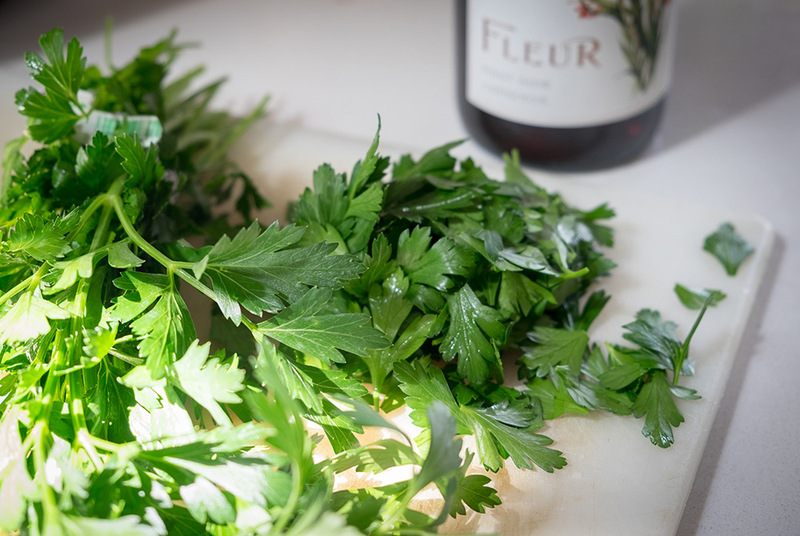 Discard the bay leaf, then mix in the parsley and vinegar. Serve with rice and beans, olives, or plantains.